I have these young, adorable friends who recently got married, Aaron and Ashley. I well remember those days starting out when you have to work so hard to make ends meet, and it seems there is never much quality time together. During their first year of marriage, Aaron has had two jobs—working a challenging day-job and also working on call for the local fire department nights and weekends. Ashley also works long hours at her job. One night, A&A planned a date night to go to the movie after work, but as they were headed out the door for the evening together, Aaron got paged for fire duty. As you can imagine, Ashley was not happy about this turn of events and tried to get Aaron to have someone else take his place on his call. But Aaron, feeling the urgency and responsibility to fulfill his duty (though I know he was torn to his duty as a new husband as well), rushed out the door to the fire. He left behind a somewhat put out wife (I would have felt the exact same way). Watching her husband choose work over her on a specially planned evening, Ashley felt in the moment that Aaron’s love for something else was greater. 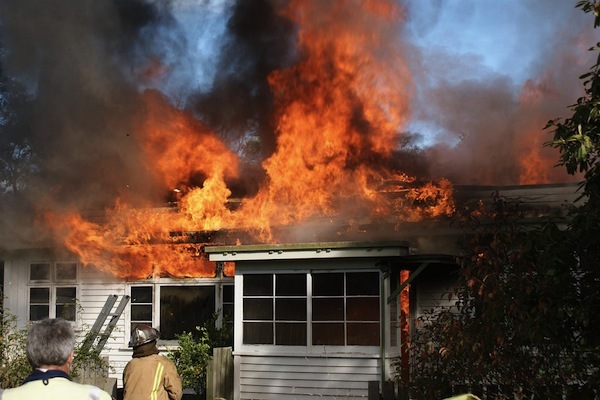 A few minutes after Aaron left, Ashley found out that the fire was at her mother’s home! In fact, when the fire department arrived, they barely got her out in time. She did survive but had severe smoke inhalation and had to be hospitalized for a few days. And actually, it was her dog who alerted neighbors of the fire first when he ran to their yard and started barking ferociously. Gotta love those animal rescue stories! The moral of this story is that, while Ashley thought her husband chose his job over her, and she felt a little unloved in the moment, it turns out that his dedication to his job was the greatest act of love he could have shown her by saving her own mother’s life. I think that both Aaron and Ashley learned a powerful lesson that night about the power of love and commitment. What an awesome full-circle! Thanks for this post. I’ll be a bit wise after reading this. :). Continue publishing, please. Gosh I’m goind back to my paperwork, my boss is approaching :). Best wishes! We absolutely love your blog and find most of your post’s to be just what I’m looking for. Would you offer guest writers to write content in your case? I wouldn’t mind composing a post or elaborating on some of the subjects you write about here. Again, awesome website!